A Thing (or Two) About Holly Jean: Can You Forget How To Be In A Relationship? Can You Forget How To Be In A Relationship? OK, I lied. (haha) Well, because it was Mark who told me, 3 plus years ago when we first met, that he had been single for so long that he forgot how to be in a relationship. And that is the topic of my post today... can someone forget how to be in a relationship? You know how when you're single versus when you're in a relationship, the dynamics are so different? You're still the same person, yes, but ... different. Now, some people (like me, I think), take to relationships like a duck to water. I think for two people without much effort (I make decisions intrinsically bearing in mind my partner's feelings/preferences as well, along with my own). I naturally got my partner's back (meaning I look out for him, won't let him fall... be this in life, or a simple social situation like a party). I like feeling like I'm part of this "team". All this is pretty much effortless when I find someone I feel enough for. But for some single people, they create a "bubble of Self" around them, this is natural, I mean if you have no one that cares for you as much as they care for themselves, then you really need to look out for yourself right? But after being single for some time, the membrane of this bubble toughens... sometimes to the point that it's impossible for anyone to penetrate it or be included in that bubble anymore. Does this make any sense to you? That some people can forget how to be in a relationship altogether? And for some people, it will take a while before you can penetrate and be included in their bubble? 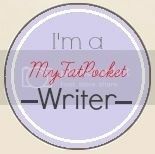 P/s- my love column on MyFatPocket this week is on - Giving Him Some Breathing Space. More like i'm scared to be in a relationship, till i find the right person. I always wonder if she will be the one? Will she make the ultimate sacrifice for me? It can be really disappointing when the person you expected to be is not what you eventually found out. So true! I'm out of r/s for 1 year plus. I am actually happy being single. Carefree and not restricted to anything at all. this is so true! When my bf and i started dating, he was single for 5 years plus and he didn't really know how to treat me i.e he didn't buy me flowers, celebrate anni.,talked to ex-gf often. But, after awhile he's getting much much better! yellow stripey top from mango. I was single far longer than most men because of failed relationships. I gave up for along time, and my social skills suffered. When one is hurt repeatedly, and drops out of even looking, it takes great effort and special women to help a male realize that he was not the only reason relationships did not work. I have been happily married now for many years! I think remembered in technical how much sacrifice was involved in a relationship. He didnt' forget. That is what we really meant. yeah i agree with the bubble thing..
but i don't think its about forgetting how to be in a relationship.. but rather getting used to being alone and getting used to being independent rather than forgetting how to think for someone else.. or forgetting how to let some one in to your heart..